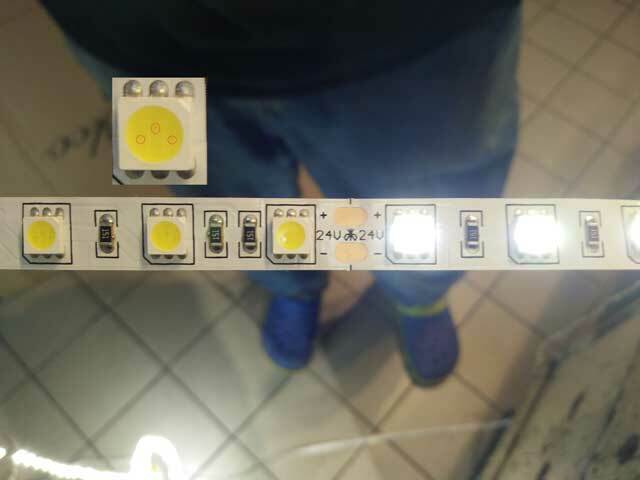 Sometimes,when install the led strip light,worker may don't know clearly input of the led strip light.They connect the wrong voltage of the strip light.In most case is that the worker connect the DC12V/24V led strip light to AC220/110V.That is happen in seconds and the strip light is damage. 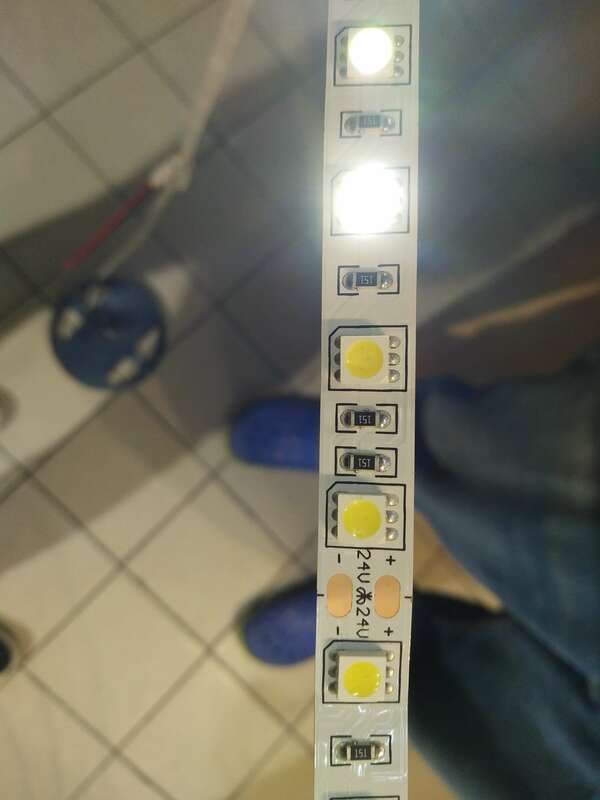 What will happen when the DC12V/24V led strip light connect directly to the AC220V/110V ? 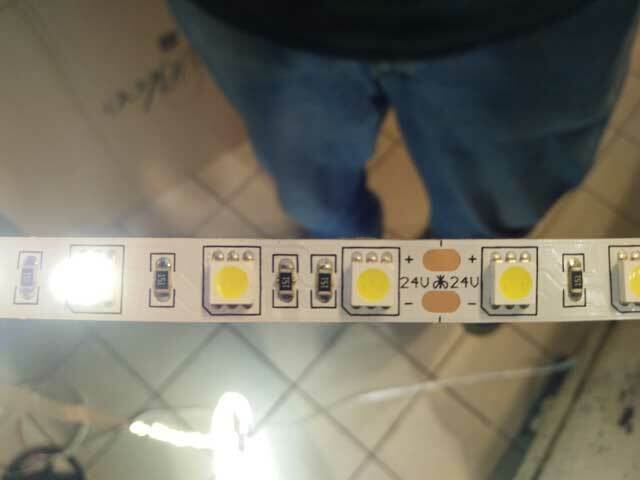 This strip light is DC24V but connect to AC220V. After connect AC220V ,we connect it to the right DC24V power supply. From the photo we can see some of the leds are damage, can not work. 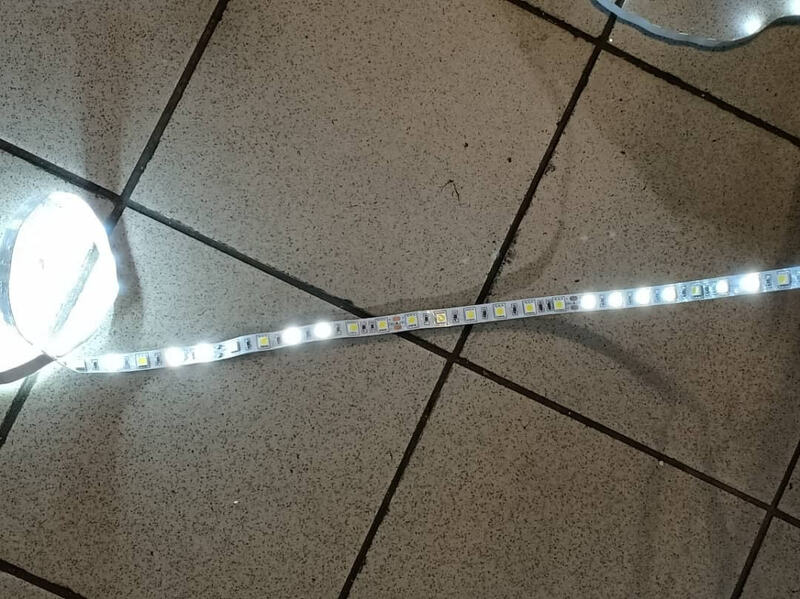 Some of the leds are still working,but the brightness is different from the normal.In fact,after connect AC220V, all leds are damaged to varying degrees.The strip light can not use anymore. And we check the led detail, we can see the chips from the led.In the chips position,we can see the glue of the led ready become black.Because of the high voltage,the chips release much heat in a second.Then the chips damage and the glue near the chips became black because of the heat. Low voltage led strip light connect the high AC220/110V is danger.Not only because of this will damage the led strip light.Because of the led strip light is in AC220/110V, this is the danger voltage for people.So when we connect the led strip light,we need to make sure we know how to use the led strip light.Never connect strip light in wrong way. 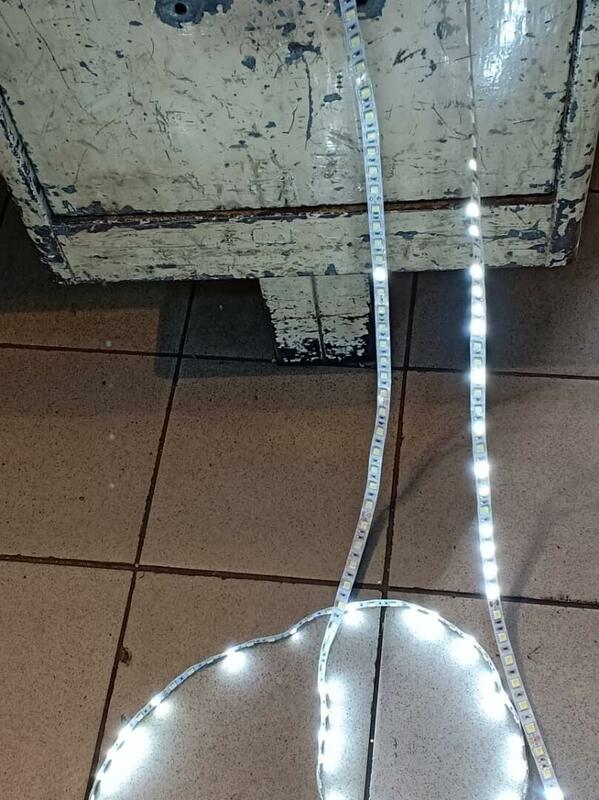 Another case is the worker connect the DC12V led strip light to DC24V power supply.What will this happen?This is also very dangerous.Sometimes will catch fire. 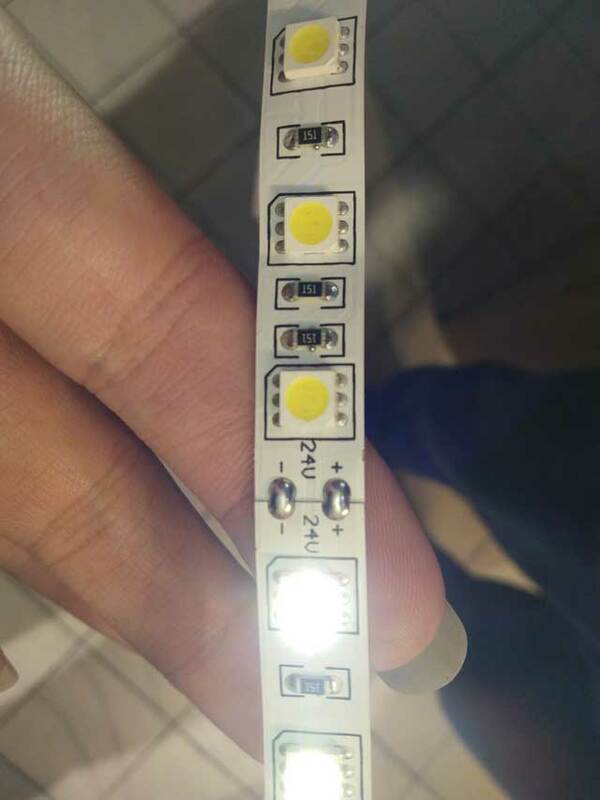 We have test this in factory, pls check following video.Never do this unless you know how to connect led strip light to the right power supply. you are right,some happen the same before. Dear Min, hope this helpful for you. We just need careful. Easy job! Hi Andy, you are professional.Thanks. You are right,this is need to learn. 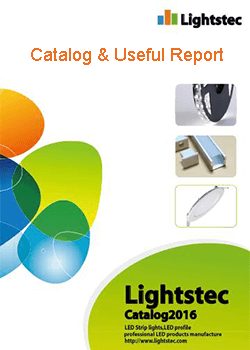 Do you have led strip lights with battery powered? 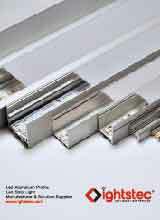 Hi Nancy, we have DC3V,DC5V,DC12V led strip light.This can use with battery.I can send you catalog.